Click here to get unbeatable price for this hotel. 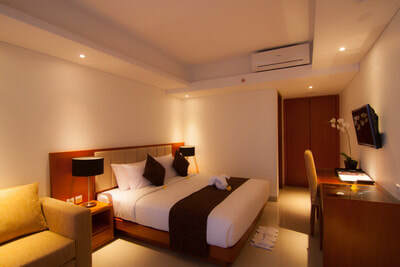 This hotel centrally located in the prime area between main street of Legian and Kuta beach. 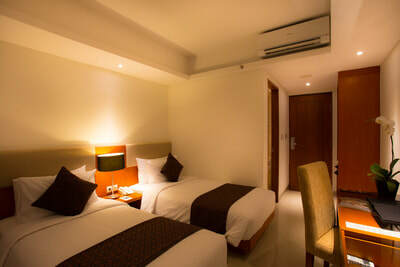 The Sun Hotel & Spa brings to life the rejuvenating spirit of the Legian, just 20 minutes away from Ngurah Rai International Airport – with easy walking access to enjoy sunset at Legian/Kuta beach, traditional & fashion market, shopping complex, nightlife entertainment and famous of dinning. 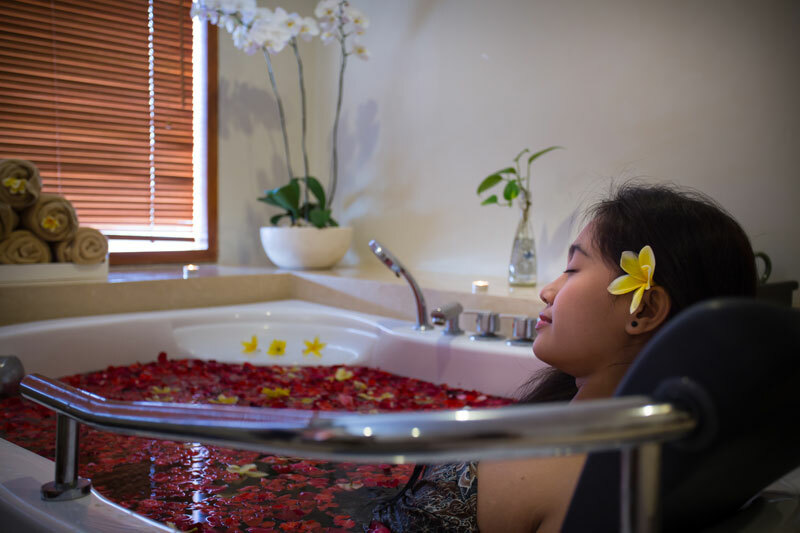 Delight in traditional Balinese hospitality and experience the rich local heritage that Bali’s Island is renowned for within the contemporary comforts of our modern hotel. The Sun Hotel & Spa consists of 153 guest rooms inclusive of Deluxe Room Pool Terrace, Deluxe Room with balcony, Superior Room, Family Superior Room and Family Deluxe Room. All guest rooms are set within building, 5-storey high with elevators and staircase access. 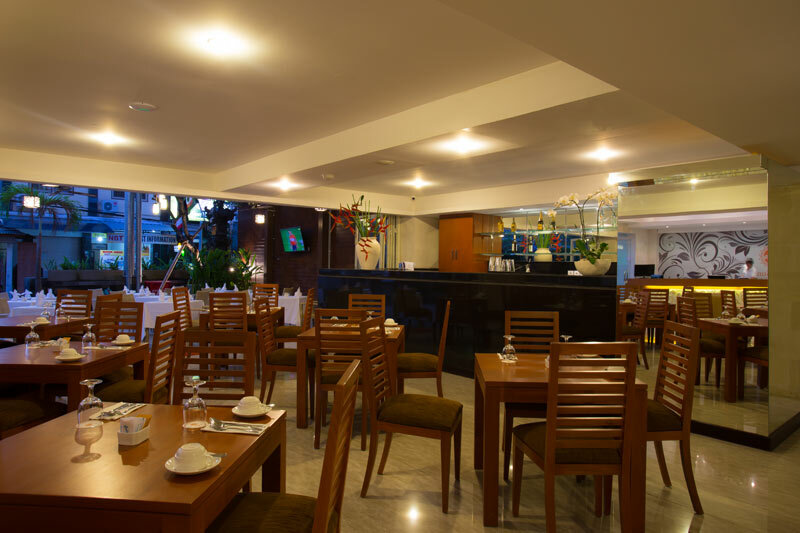 The hotel is also completed with Restaurant & Bar, Spa & Meeting Room.Click here to get unbeatable price for this hotel. The hotel’s 76 Superior Rooms are available with total space of 28 square meters, featuring spacious patios especially angled to capture vistas of the hotel’s swimming pool all with richly polished furniture and a warm contemporary atmosphere. Room amenities include 32-inch television with satellite channels, coffee and tea making facilities, complimentary bottled water daily, in-room personal safety box and hair dryer. Located on the upper floor and measuring 30 square meters, all the rooms feature contemporary tropical décor, private balcony, and sleek furnishings. 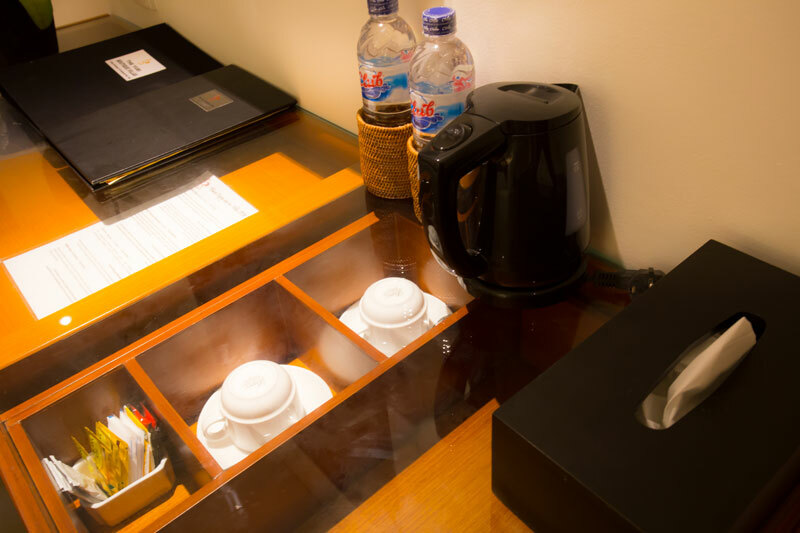 Room amenities include 32-inch LCD TVs with satellite channels, coffee and tea making facilities, complimentary bottled water daily, kimonos, in-room personal safety box and hair dryer. A 30 square meter room with private terrace and a step access to the beautiful swimming pool, has a cool and tranquil ambience in earth-tone hues which express the essence of Bali. Specially designed with comfortable day chair ensure the supreme comfort enjoying the swimming pool & relaxing atmosphere. Room amenities include 32-inch LCD TVs with satellite channels, coffee and tea making facilities, complimentary bottled water daily, in-room personal safety box and hair dryer. Two bedrooms with private bathrooms connected by an interconnecting door, which can lock from both sides, fitted with King Size bed in the master bedroom and Twin Bed in the 2nd bedroom of 56 square meters. Offering the ideas room configuration for families of a maximum of 2 adults & 2 children or 6 people with the applied extra beds. 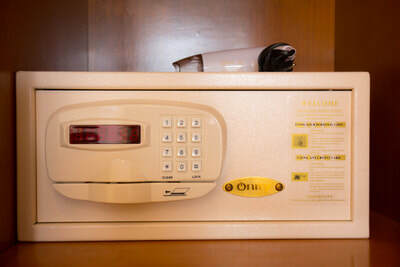 Room amenities include 32-inch television with satellite channels, coffee and tea making facilities, complimentary bottled water daily, in-room personal safety box and hair dryer. Family Room features a master bedroom with an interconnecting door for children measuring a total of 60 square meters completed with bathroom and private balcony. The spacious bedrooms are fitted with King Size bed and twin beds in the second bedroom. Room amenities include 32-inch television with satellite channels, coffee and tea making facilities, complimentary bottled water daily, in-room personal safety box and hair dryer. 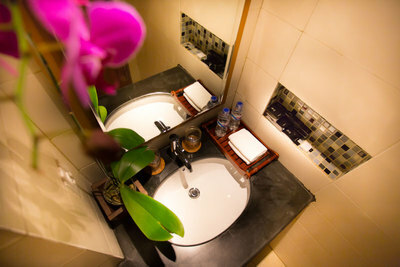 Fresh fruit and flowers are provided in the room upon arrival. 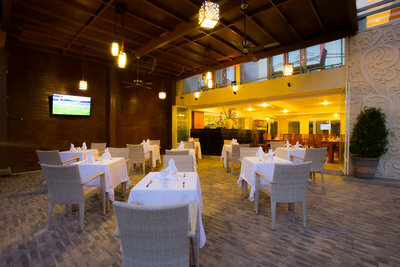 Eclipse Restaurant and Bar is an outlet for dining and drinking pleasure. With music background, Bar offers a stylish and modern ambience with a relaxed atmosphere. The Restaurant offers a whole new level of casual dining experience, open for breakfast, lunch and dinner. Prabha in Hindi language which means light or shine and in the ancient Javanese language means sparkling. Touching technique to release the muscular spasm from the head, neck and shoulder region; providing a tremendous sense of easiness. 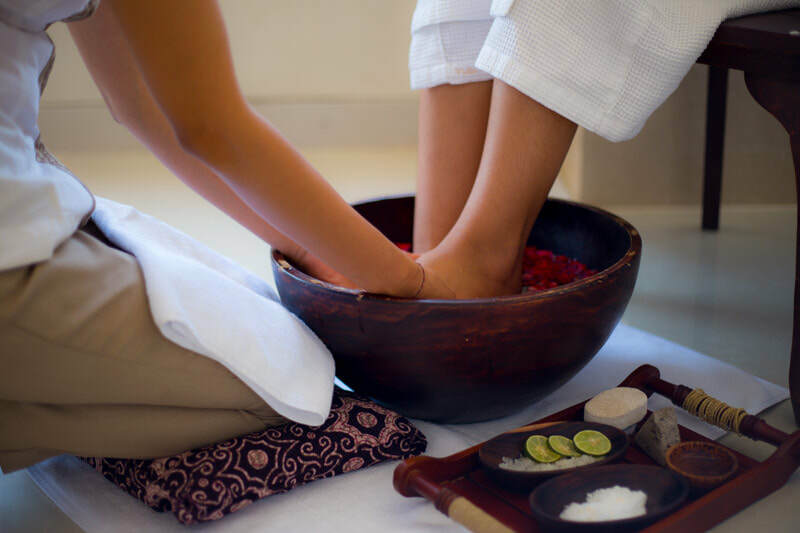 Spa treatments consist of body treatments, cream bath, facial, manicure –pedicure, scrub, foot spa, and spa salon. 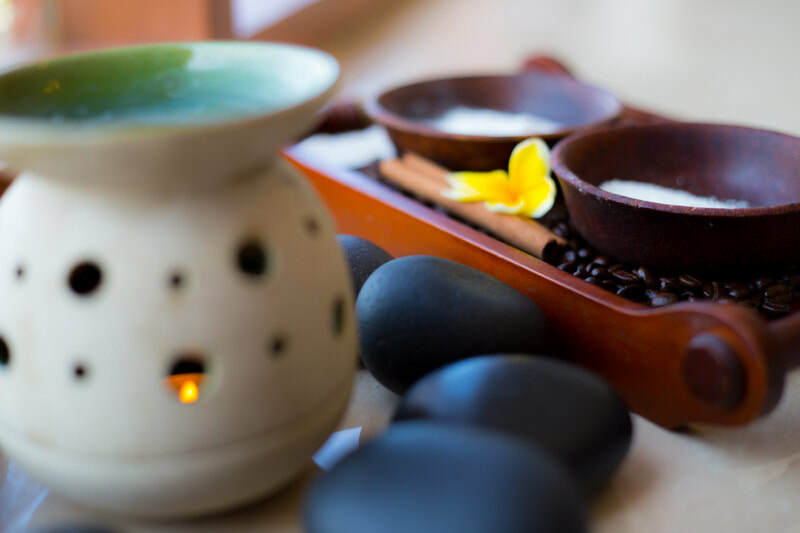 Combine with natural product make your holidays more complete and our gracious staff serve you from hearth.